This daily trip gives you the opportunity to explore the famous Blue caves in the north of Zakynthos island. 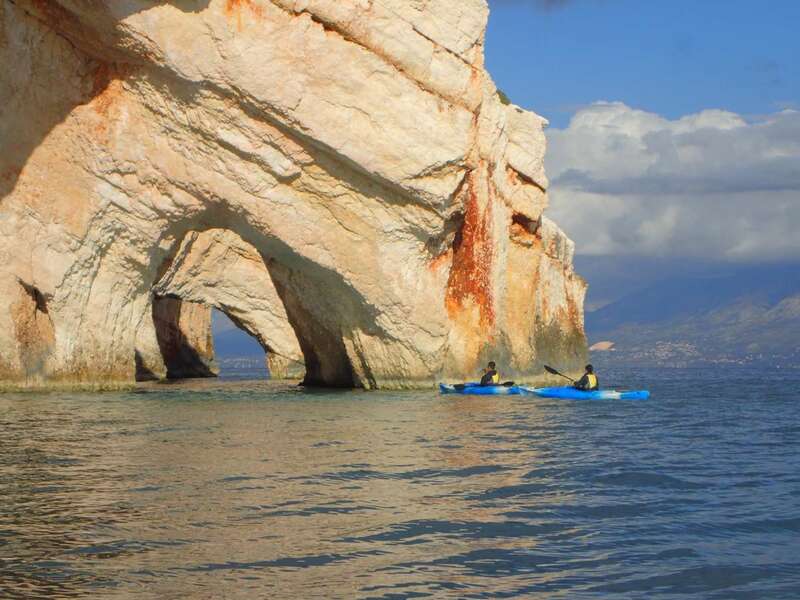 We start our excursion at Agios Nikolaos port from where we paddle away and begin to discover the coastline on the north part of the island. We will see its covered by cliffs and caves and as we look further away we can also see the view of our neighbor Island, Kefalonia, in the distance. 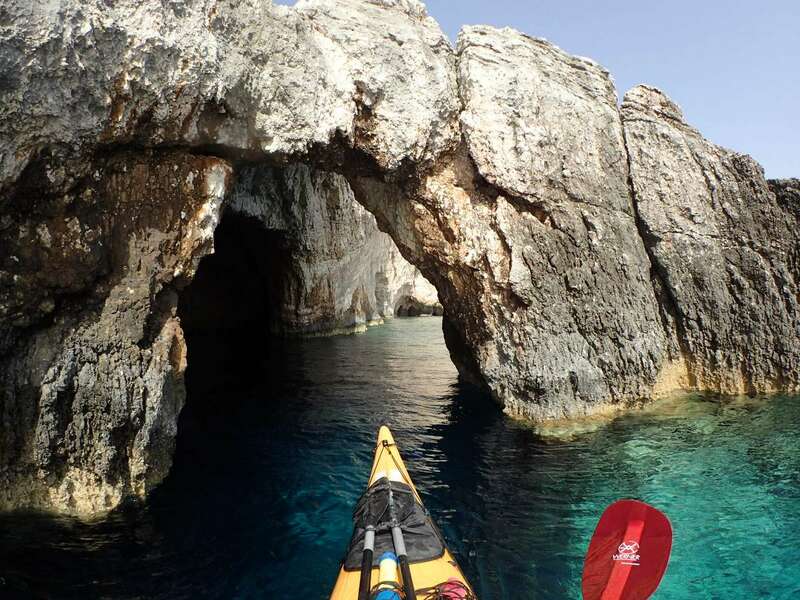 We will follow the coastline with it's many caves, inside the glowing blue waters until we arrive at the northernmost point of Zante where the blue caves are located. 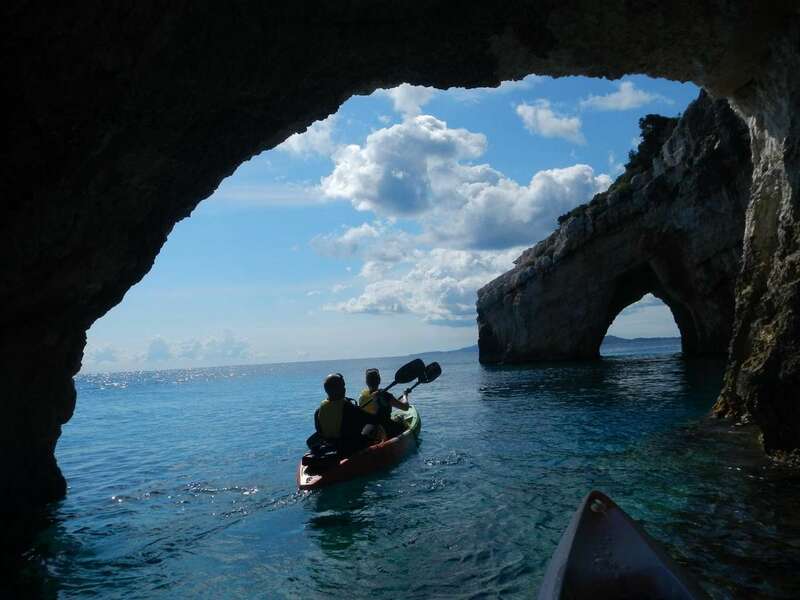 These caves can be better explored by kayak. The interior of each is different, for sure you will enjoy the natural colors of the waters. Here we will rest and snorkel before returning to the start point.